Also known as the melody of "Tomorrow Santa's coming"
and "Twinkle, Twinkle Little Star"
ranz Vorraber is one of the internationally renowned interpreters of Schumann. He repeatedly performed the complete solo oeuvre in cycles of twelve concertos and was published it in a thirteen-part CD recording at Thorofon, receiving numerous international awards and honors. Being born in Graz, his studies have been shaped by the First Viennese School and the German School, and he graduated with a soloist diploma and unanimous decoration. Franz Vorraber was invited as soloist to internationally famous festivals as the Viennese Musiksommer, the piano festival Ruhr, the music festival Schleswig Holstein, the Mozartfest Würzburg, the Mendelson fest in Leipzig, the Klosterfestspiele Maulbronn, the Musiksommer of Chorin, the European Weeks of Passau, the Frankfurter Feste, the festival Santander, the Schubertiade, the Rheingau music festival, the Hohenloher Kultursommer, the Bebersee festival et cetera. He worked with conductors like Dennis Russell Davies, Fabio Luisi, Alun Francis, Gabriel Feltz, Mar Tardue or Marcus Bosch. 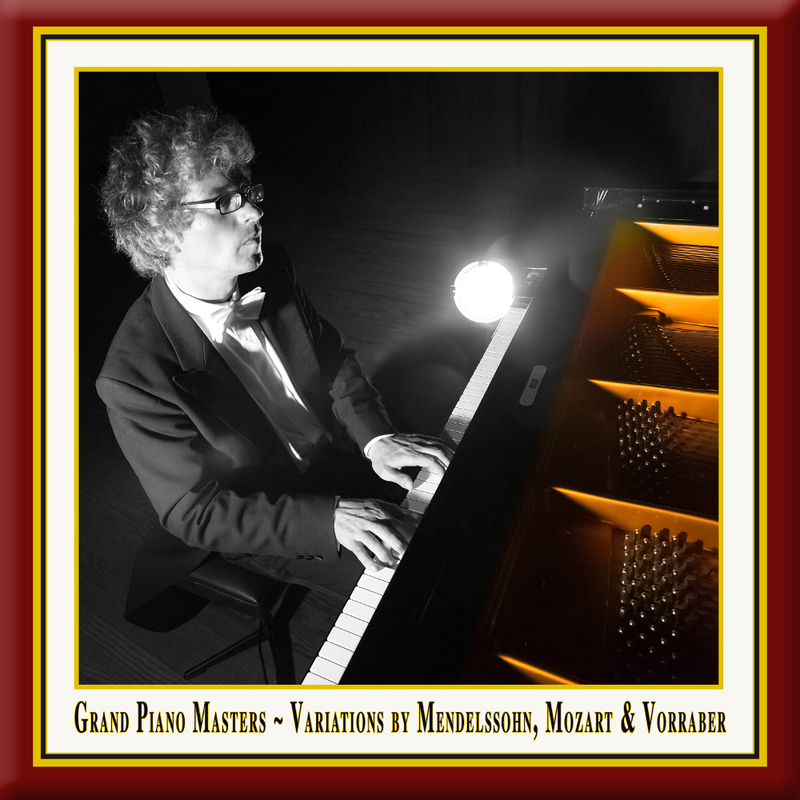 His repertoire of piano concerts includes 50 different concerts, many of them have been have been released on CD. His own works as a composer have been increasingly performed lately. There have been many premieres of pieces of chamber music at the Mendelson Fest at the Gewandhaus or at the Schumann Fest in Bonn in cooperation with the blowers of the Staatskapelle Berlin and musicians of the Gewandhaus Leipzig. A great success was the premiere of his first piano concerto at the Klosterkonzerte Maulbronn. Some works of piano were published by Thorofon and by K&K Verlagsanstalt, i. a. 'Sentences of Love' in cooperation with the poet and writer Peter Härtling. * Also known as the melody of "Tomorrow Santa's coming" and "Twinkle, Twinkle Little Star"